CAMPING ESSENTIALS FOR 2019 - My name is Lovely! Good morning everyone, todays post is on camping essentials. I know it’s not camping weather or season at the moment but it’s never to early to start thinking about and organising your get away. Being able to get away from the madness of day to day life by taking a vacation is a great way of relieving stress. However, as you know, travelling and vacations can work out to be rather expensive. And if you’re not earning as much money as you’d like, taking a vacation might be the last thing on your mind. That’s where camping comes into play. It’s cheap, easy to do, and it gives you the chance to spend some time with mother nature. Even if you don’t fancy the idea of ‘roughing it’ per se, there are now options to go ‘glamping’ which involves plush beds but still gives you the opportunity to experience the great outdoors. So, if you’re thinking of taking to the wilderness to take a break, here are this year’s camping essentials! 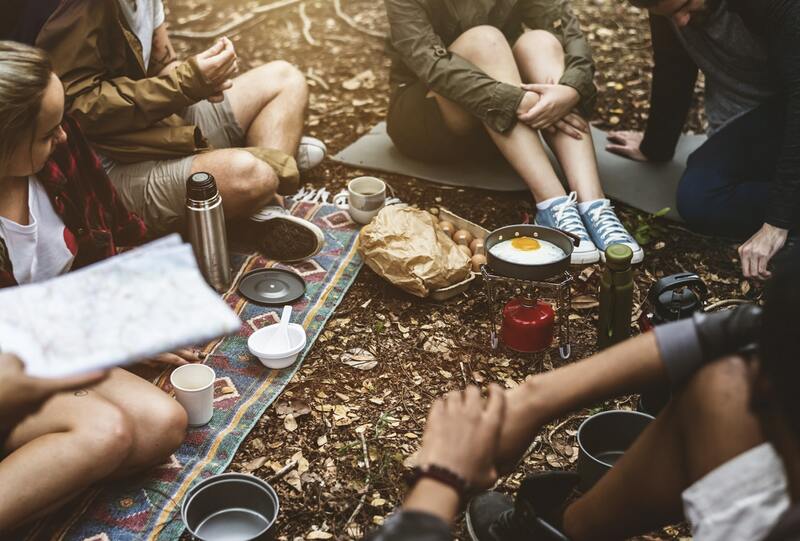 Even though camping is a way of taking life back to a simpler time, you will still need to pack plenty of things to ensure that you’ve got everything you may need during your trip. If however like us as a family of five your car isn’t big enough to fit everything in, it might be worth considering a trailer to tow so that you can pack everything you need. Or if you prefer, go glamping instead this would be ideal for me! When you’re in the wilderness you never know what kind of weather and terrain to expect. This means that heels and pumps pretty much go out of the window. That’s where wellington boots come in. Did you know that high-quality boots last a lifetime? Get yourself a decent pair to last you the test of time and one that can be used for any future camping trip or here in the UK they can be used frequently for walks in the park! One thing that you’ll miss when you’re camping is easy lighting. However, just because you’re camping it doesn’t mean you have to sit in the dark all night! There are plenty of camping lights that run by either battery or gas, but if you want to be really clever, attach a headtorch to a milk bottle full of water for a bright light that’s easy to carry around and one that won’t get over heated! Sleeping in the wilderness can be cold and no fun at all. That’s why it’s so important that you prepare yourself with a decent source of heat when you’re camping. Many campsites won’t allow open fires in this day and age due to insurance restrictions. Therefore make sure you check before arriving on site if you’re able to create a fire. Finally, while you won’t want to take too much food that needs to be chilled (for storage and general ease), there will be items such as milk that you’ll want to keep cool. Invest in a decent coolbox to make your life easier! You can now buy coolboxes that plug into the mains too for a mini-fridge on the go! Thank you so much for stopping by to read my blog post. Are you someone who would go camping? Or would your prefer glamping like me? Please do let me know by leaving a comment below. I do too Mica, but I wouldn’t mind glamping with my boys! Thanks and have a wonderful day darling. This sounds like my kinda camping! Love the post! fun post! love a good outdoor adventure! you’re right that it is too cold for camping right now, but spring is all around the corner, so this post is really valuable. Can’t wait to implement your tips on my next camp trip! So happy to hear that Dessy and for sure too cold for camping right now! Totally Carmen, decent footwear is a must! Thank you. These are all really good tips and suggestions! Camping isn’t really for me, but I can never say never. Camping isn’t for me either and just like you would say no, however I like the idea of Glamping and can see my self doing that instead! Thanks for this post, I’ve never actually been camping but I really should. Glad you will consider it darling and thank you for stopping by!